Desirable, sought after Riverside location. 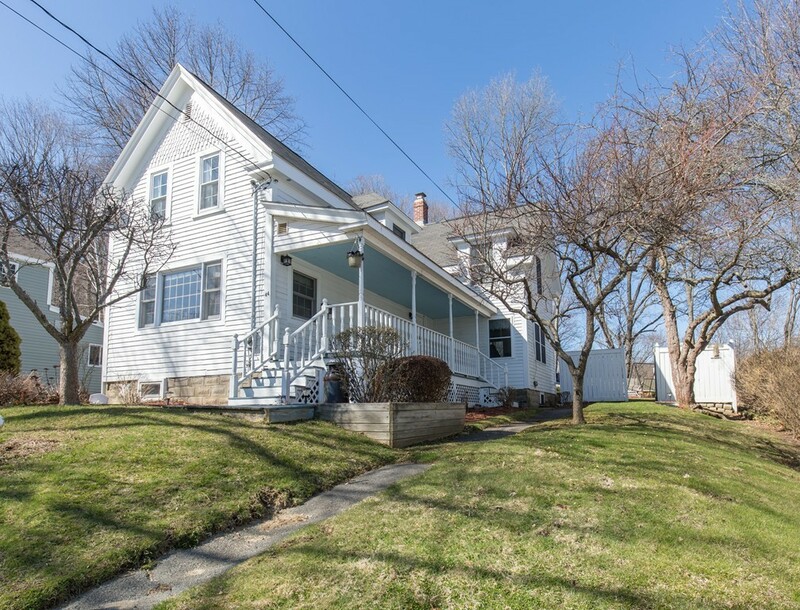 Step back in time..Charming old style Colonial home lovingly maintained & updated by sellers. 4 bedroom 2 bath 1 car garage w/ covered Farmer's Porch for enjoying summer breezes, cherry/apple trees, spice/azalea bushes. Large, fenced beautifully landscaped back yard w/ 3 azalea bushes & rhododendron, spacious deck & stone patio areas for barbecues, fire pits & entertaining. Sunny, white country kitchen w/ ship lap, granite counters & gas stove. 1st floor 3/4 bath w/ shower. Spacious living room opens to formal dining w/ french doors to a 3 season knotty pine porch over looking back yard. 4 bedrooms on 2nd level w/ a full bath. Semi finished lower level bonus room w/ shelving & step up exterior access; large laundry room w/ extra storage. Large storage shed & Garage has great storage loft above. So close to riverfront, downtown shopping, bus, commuter rail, route 495/95 & southern NH shopping. newer roofs & hw heater.